To reserve a parking space near to the port of Roscoff, just use the search engine in the blue square on the right of the page and input the dates and times during which you need to leave your car. There is no charge to obtain a quote and, if you wish to proceed with a booking, you can continue to the next stage of the process with ease. 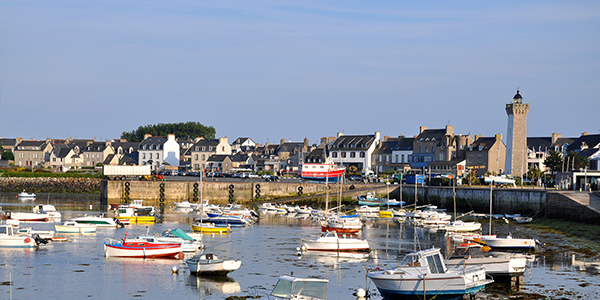 The Port of Roscoff, more commonly known locally as Port Bloscon, is a deep water harbour constructed between 1970 and 1972 as the brainchild of the Morlaix region's economic and political leaders. These days, the docks at Roscoff-Bloscon form the major French seaport for traffic between France and Ireland. For several years an undoubted commercial and tourist hub, work will begin in 2012 on expanding this Breton port to incorporate the creation of a marina dedicated to pleasure craft. The construction site was set up during the winter of 2009-2010 and work is expected to continue for a further 2 years. As a result of these modifications, the new marina should support almost 625 berths on its pontoons.